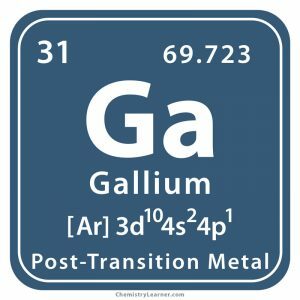 Gallium (pronunciation GAL-ee-em ), represented by the chemical symbol (molecular formula) Ga , is a soft element belonging to the family of post transition metals [5, 27]. Naturally occurring Ga has two stable isotopes with mass numbers 69 and 71 . It has a low vapor pressure even at high temperatures and reacts with most of the non metals at such temperatures. It is also reactive with acids and alkalis [22, 27]. The element is present in traces in the minerals sphalerite, diaspore, germanite, coal and bauxite. However, it is not mined. It is mainly obtained as a by-product of zinc refining. It can also be produced by the electrolysis of a solution of potassium hydroxide and gallium(III) hydroxide [1, 25]. Origin of Its Name: It got its name from Gallia, the Latin name of France, the country of its discovery . Who Discovered It: French chemist Paul-Émile Lecoq de Boisbaudran [1, 2]. 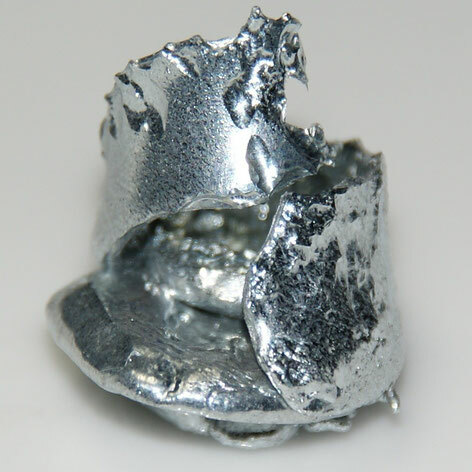 When Was Gallium Discovered: Its discovery year is 1875 . Its existence and properties were predicted by the Russian chemist Dmitri Mendeleev long before its discovery. He had named the hypothetical element eka-aluminum as it would sit below aluminum in the periodic table. Boisbaudran observed a new violet line in the atomic spectrum of zinc extracted from a sample of zinc blende ore from the Pyrenees, indicating the presence of a new element. By November 1875 he was successful in isolating and purifying the metal in Paris and showed that its properties were similar to aluminum. In December, he announced it at the French Academy of Sciences [1, 3]. 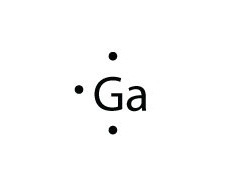 Radioactive Ga 67 (half life 3.3 days ) and Ga 68 (half life 68 minutes ) are injected in the body to detect cancer, infection and inflammation, a nuclear medicine test  known as gallium scan or imaging [6, 7]. They are also used in positron emission tomography (PET) scans for detecting carcinoid and neuroendocrine tumors . Since it is one of the metals with the largest liquid ranges and melts close to room temperature, it is used in high-temperature thermometers . 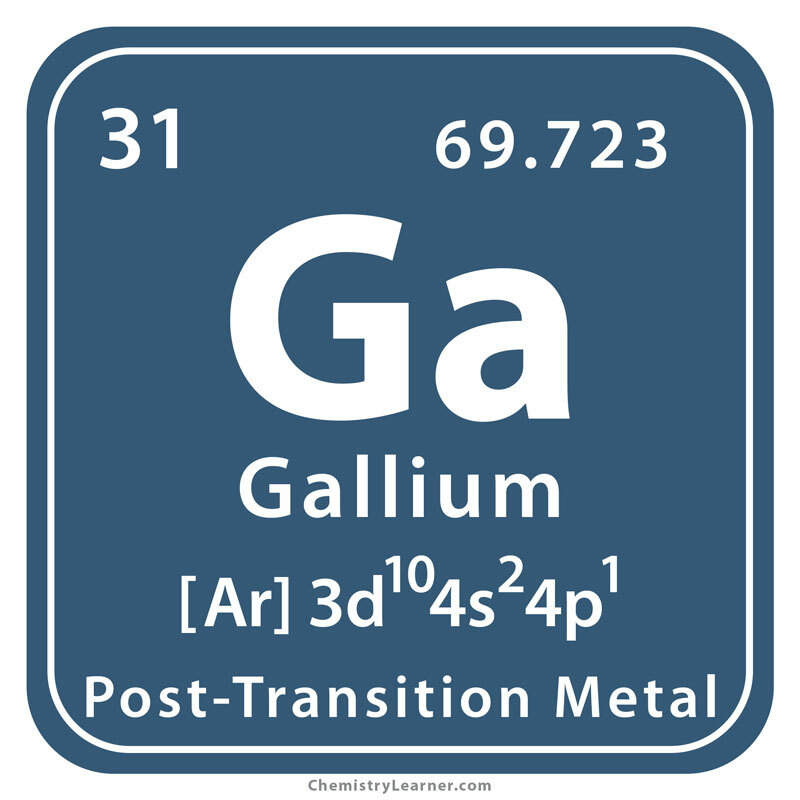 Gallium indium alloys are also used in thermometers as non-toxic alternatives to mercury . 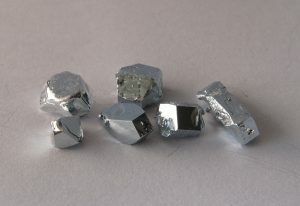 Its compound, gallium arsenide, is used in solar cells and panels, semiconductor lasers, diodes [3, 20]. Creating brilliant mirrors and as a doping agent in garnets for making jewelry [3, 23]. Gallium nitride is used in semiconductor power devices, radars, transistors and LED lighting systems . 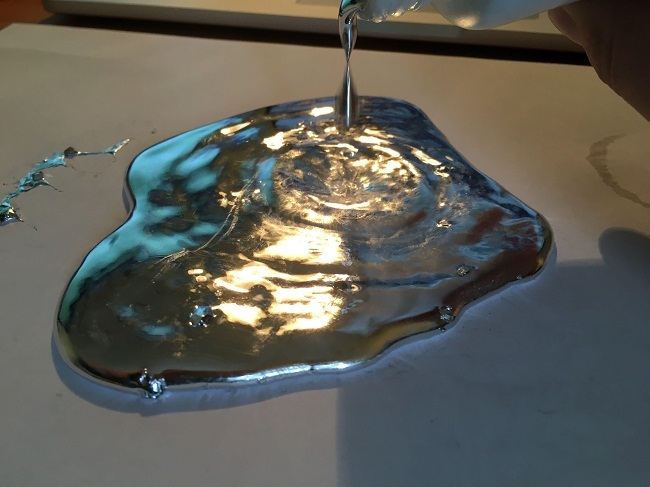 Gallium ion beam milling finds application in preparing aluminum thin foils . 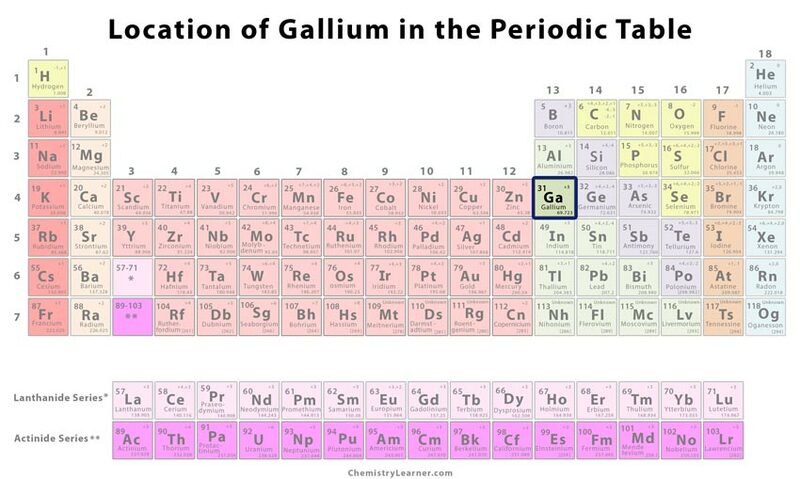 Liquid gallium is used in making kids’ fidget spinners . Its greatest application is in the making of analog integrated circuits . 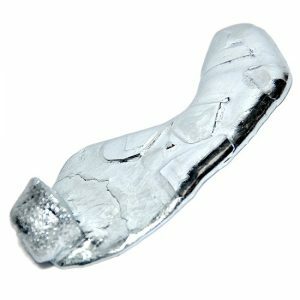 Gallium wax is used in snowboarding and skiing . It is safe for the body. If you hold it, it can just leave a stain in your hands [1, 7]. 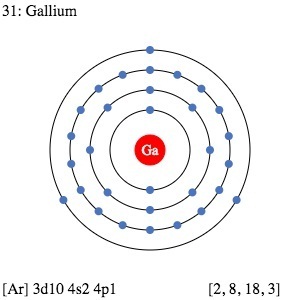 However, gallium halide complexes can cause acute poisoning . It is present in traces in our body but has no known effect on our health . 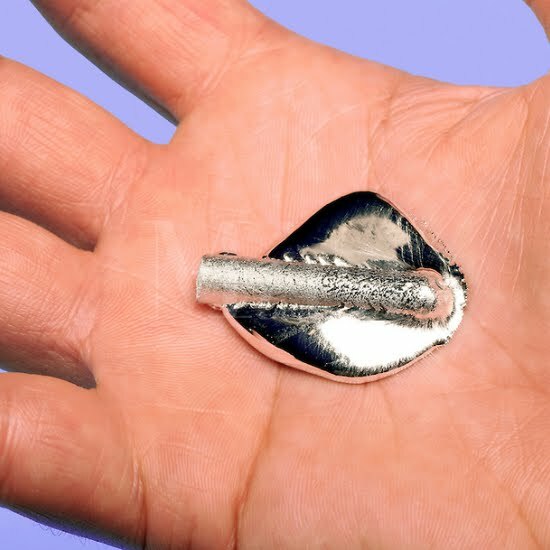 You can melt gallium by holding it in your hands. It is because its melting point lies close to room temperature and the heat of your hands is enough to turn it into its liquid state. You can re-solidify it by putting it down on a surface . 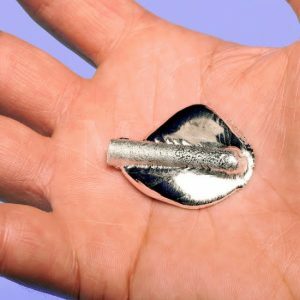 Similarly, a gallium spoon can be melted by immersing it in a cup of hot water. This makes kids use disappearing Ga utensils for playing pranks and doing science tricks . When gallium is placed on aluminum or steel, it diffuses into the metal lattice making it fragile and brittle [9, 29]. It could be the next big antibacterial agent according to studies by researchers at the University of Washington . It expands on freezing, a deviation from the usual behavior of matter . The pure metal is priced at $220 for every 100 gram. That means it costs around $62 per ounce .